Islamic State (IS) jihadists have regained control of a town believed to be home to hundreds of Christian families. The group launched a surprise attack on the town of Al-Qaryatain, which was being guarded by government forces, early on Sunday. The town, in the central province of Homs, is known as a symbol of interfaith coexistence – Christians are thought to have accounted for between 900 and 2,000 of the 30,000 residents before civil war broke out in 2011. It is not known exactly how many Christians are still resident there. Al-Qaryatain also contained the tomb of a saint venerated by both Muslims and Christians. Rami Abdel Rahman, director of the British-based Syrian Observatory for Human Rights, told journalists that violent clashes broke out at the weekend after the jihadists stole in to the town. Al-Qaryatain was previously in the hands of jihadists when IS seized control of it in August 2015. Russian-backed government forces recaptured it in April 2016. 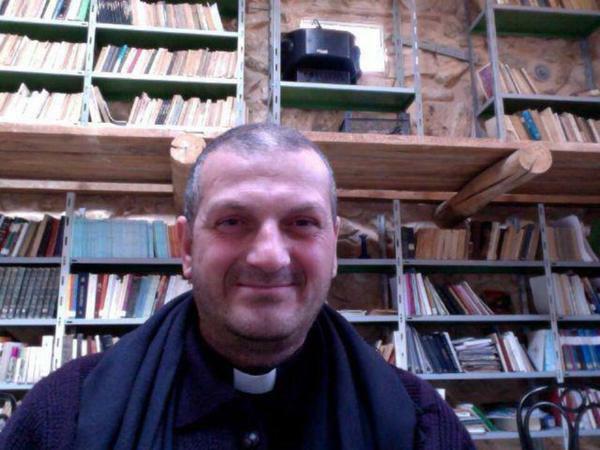 The Syriac Orthodox Church published names of 21 Christians it said were killed during IS’s eight-month occupation of the town, which lies 55 miles (90km) southeast of Homs and 60 miles (95km) west of Palmyra. Some 270 Christians were abducted by IS soon after the jihadists captured the town. Some sheltered in the 1,500-year-old Mar Elian (St Julian) monastery, which IS later bulldozed. The shrine and tomb of Mar Elian, who had been venerated by Christians and Muslims, were also bulldozed. After the town was liberated, the shrine of Mar Elian was found to have been bulldozed. The saint’s relics have been recovered and moved to a different church[/getty]The kidnapped Christians were taken around 55 miles into the desert and held in an underground prison for 25 days before being released. The prior at the monastery, Syrian Rev. Jacques Mourad, was held captive by IS for five months. Many Syrian Christians and other minorities had flocked to Al-Qaryatain and nearby villages as IS seized control of towns and villages in the northern province of Aleppo. Church sources said that around 1,500 had managed to flee Al-Qaryatain while the jihadists were fighting the government troops. Situated between Damascus and the ancient city of Palmyra, the World Heritage Site most recently recaptured from IS in March 2017, Al-Qaryatain would have been a key vantage point for an attempt to take over Damascus.